I don’t know about y’all, but when I wake up in the morning it’s like the Grand Canyon decided to relocate under my eyes. You might know them to be called ‘bags’, ‘deep circles’ etc….or you have heard the dreaded, “you look tired”. Squirrel rant: People of the world: Men and Women everywhere- do NOT ever tell someone they look tired…ever! That is all. Back to my Grand Canyon’s which needed to be rectified asap; I discovered Clinique’s, “All About Eyes”. It is a miracle worker- no joke! Squirel tip: I keep my ‘All About Eyes’ in the refrigerator and when I wake up in the morning, I immediately apply under my eyes. It works! My bags have dramatically reduced to a pot hole. Much better than the Grand Canyon that was chillin’ for so long. I will always have a little something…well, that’s because I am not 20 anymore (thank goodness). For $29.00 this is a bargain and will last for about 6 months to a year. Also, a good purse item for your travels! I have been having hair drama as of late and didn’t know how to rectify the situation. I felt my shampoos and conditioners ran their course on my hairs! My hair tends to be dry because I live in LA and there is not a lot of humidity. 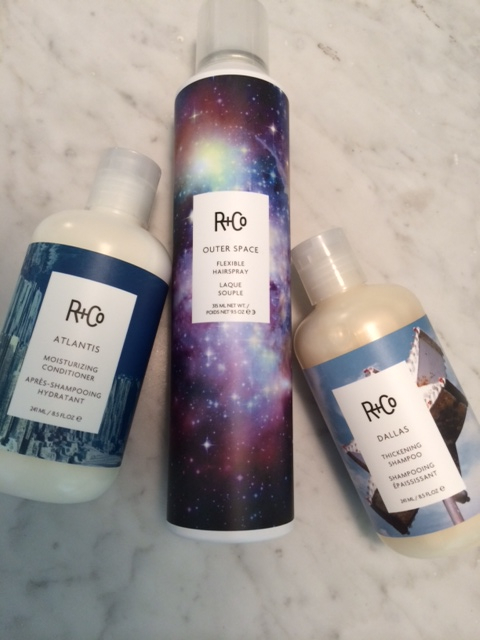 I recently had my hair done and the salon I go to recommended this new brand called R+Co. I am obsessed! Their products have changed my hair quality dramatically. The softness and shine have been fully restored. I am also in love with their hairspray, ‘Outerspace’. Honestly, this is the best hairspray I’ve ever tried! Squirrel hair tip: Hot water fades your color and dries your hair out. Be mindful of the temperature and seal your cuticles with a 10-second cold water rinse. 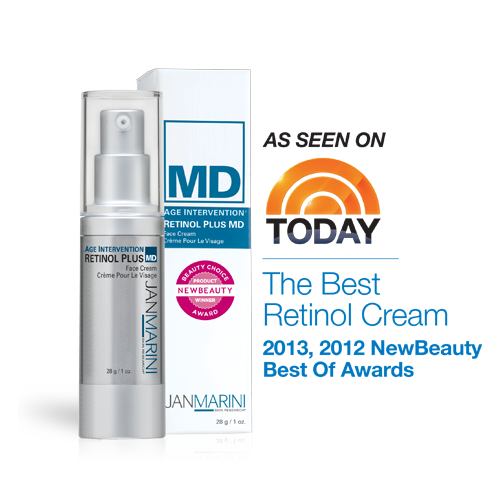 I have repeated over and over again that Dr. Squirrel and I only use Jan Marini products on our visage. We have been using her line for years. We continue to receive compliments on our skin all the time. People ask us why is your skin so luminous and supple? It’s no secret. We use Jan Marini. Click here to read HOS’ post on our regimen (post a comment/question below and I will answer any of your questions). Jan Marini’s Age Intervention Line is off the hook. The must have product that I use at night is their, ‘Retinol Plus’. It is a game changer. For $85.00 this product is priced well considering the department stores creams are over a hundred dollars and beyond. Invest in your skin instead of eating out! #squirrelsays!